You know a great way to get kids excited about learning? Get out the LEGOs! 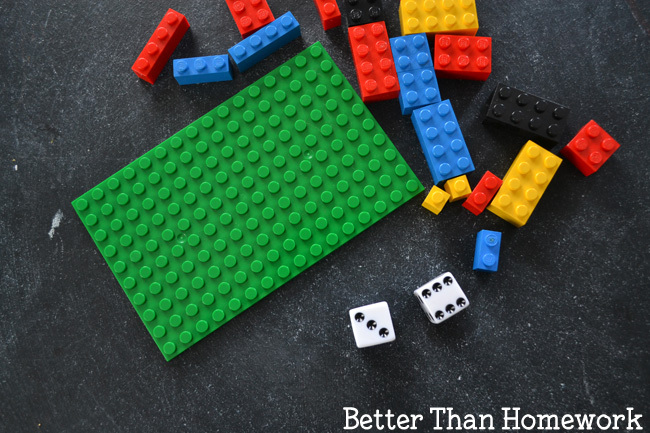 There are so many learning activities you can do with LEGO bricks, from science to STEM, storytelling, reading games, and of course, math. 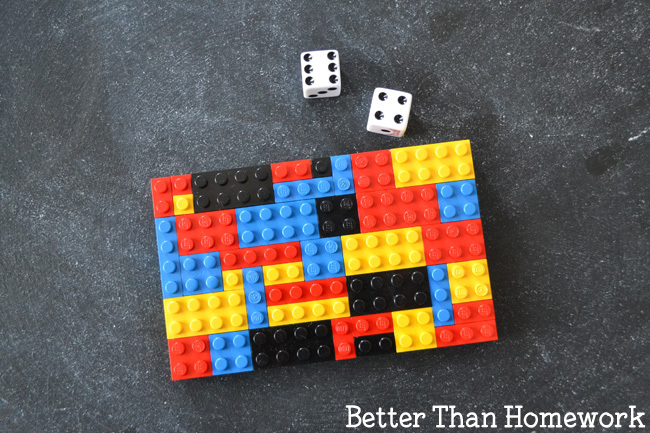 This LEGO addition game is a fun and simple way to get kids excited about homework. So, grab your LEGOs and let’s go! 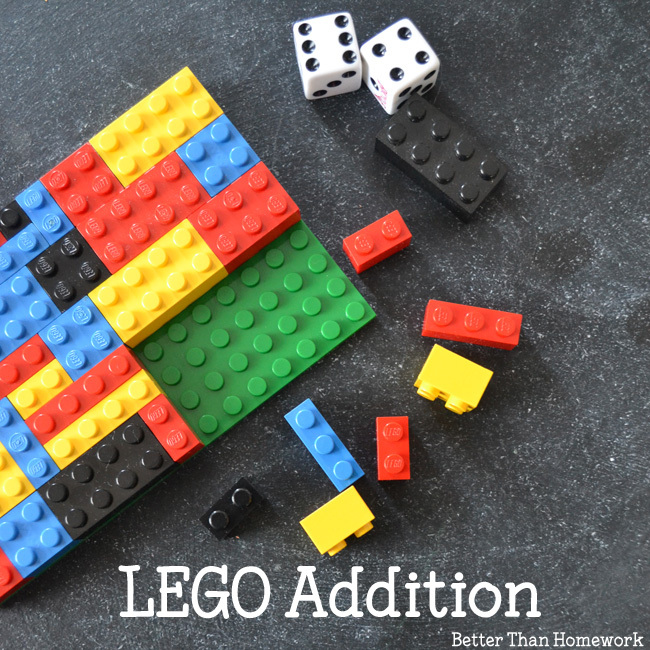 For this game, we’re going to use our addition skills to fill up a LEGO base plate. So, the first thing you’ll need is a LEGO base plate. You can grab any size you want, but keep in mind that the larger the base plate, the more time this game will take. You also need a large selection of LEGO bricks. Make sure to get as many different sizes as you can. I found that it is helpful to have quite a few LEGOs with one bump for this game. Finally, you’ll need a pair of dice and a willing player. 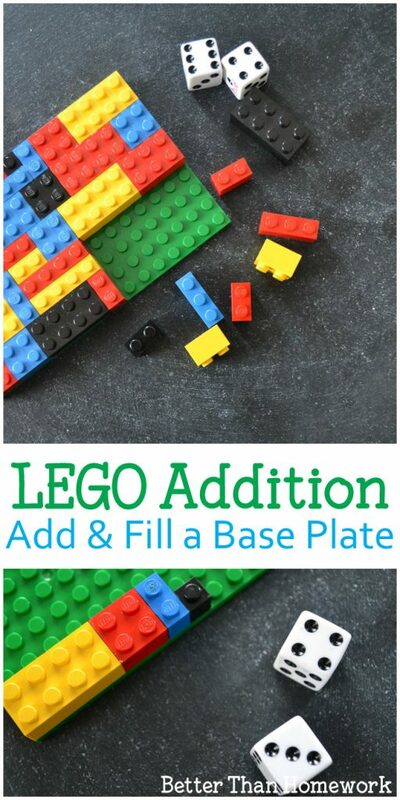 The goal of this game is to add and fill up your LEGO base plate. Start by throwing the dice. Add the two numbers together and find a brick with the correct amount of bumps. You may have to combine 2 or 3 bricks to get the correct amount of bumps. Attach your bricks to your base plate. Now keep going. 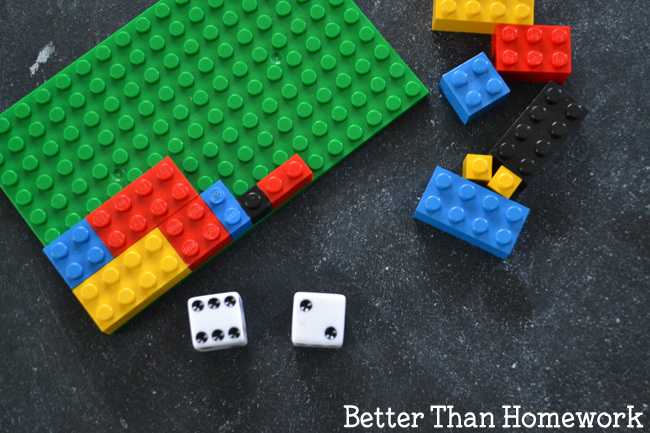 Throw the dice, add them up, and attach your bricks to your base plate. Keep on adding and attaching bricks. You may need to use your puzzle solving skills to fill in the plate. The game is over as soon as you fill your entire base plate. It can get tricky when you only have a few bumps left to fill at the end, so it’s up to you how you want to finish. You can keep throwing the dice until you get the exact number you need to fill your base plate. Or, you can throw the dice and just add the amount of bricks that it takes to finish filling your base plate. 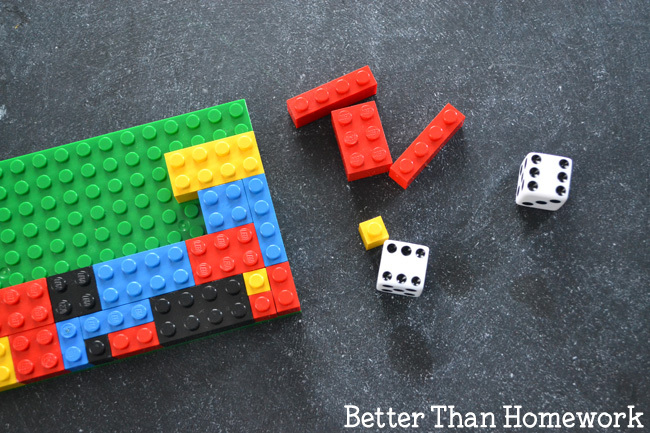 How many LEGO bricks did you use altogether? Play with two or more kids. Each player has their own base plate and they take turns throwing the dice. Who will fill their base plate first? Practice your estimation skills. After you fill your base, estimate how many LEGOs are on the plate before counting. How close were you? Or, you can try estimating how many LEGOs you will use before you begin the game. Start with a filled base plate and use subtraction to remove all the LEGOs. How long will it take to get an empty base plate? 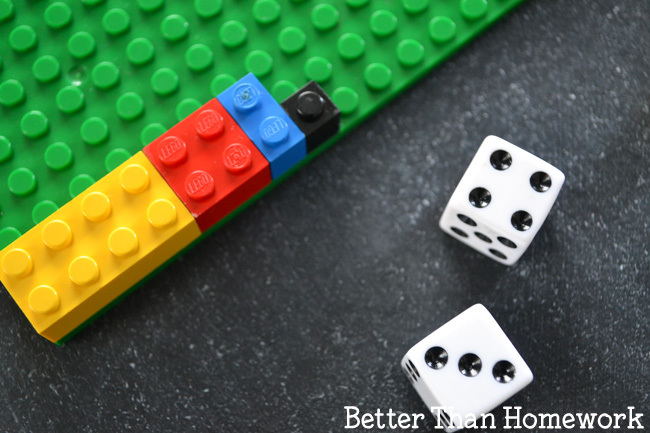 Do you have any fun ways to play this LEGO addition game?